There is no denying that as parents you put the welfare and well-being of your children at the top of your priority list. It is not surprising that you worry when you notice anything unusual in your child’s behavior. An overactive imagination, restlessness and extreme energy may cause you to think that your child has ADHD. 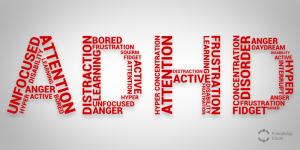 Learning what it is about and identifying the ADHD symptoms in children may help you properly determine whether your child has this condition or not. Attention Deficit Hyperactivity Disorder or ADHD is a behavioral condition that affects an estimated 3% to 5% of children and adolescents. It is typically identified with symptoms of hyperactivity and impulsiveness. But it can also be characterized with inattentiveness in the case of Attention Deficit Disorder or ADD. Most of the time, children who have ADHD or ADD are referred to as slow, dull, troublemaker or a menace until the time that they are finally diagnosed with the condition. ADHD happens early in life, usually between the ages 3 to 5 years old. To be diagnosed with the condition, a child must have displayed the apparent symptoms for six months or more and has disruptive effects for development level in at least two social aspects in life. And while the reason is unknown, ADHD is more common among young boys than in young girls. It can be categorized into three subtypes, which depend on the symptoms demonstrated. These are: Predominantly Inattentive, Predominantly Hyperactive-Impulse and Combined Types. Predominantly Inattentive – displays signs and symptoms of inattentiveness. This type was previously referred as ADD. Children with this subtype have difficulty in focusing and paying attention. Predominantly Hyperactive-Impulsive – displays signs and symptoms of hyperactivity and impulsiveness. Children with this subtype are often characterized to be in constant motion. Combined – displays signs and symptoms of both the inattentive and hyperactive-impulsive type. 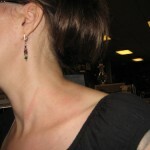 Usually, at least 6 symptoms of each of the two types should be demonstrated. ADHD or ADD does not have a cure, but it can be effectively managed with a number of treatments, which include medication, behavioral therapy, alternative treatments and natural remedies. However, a combination of medication and behavioral therapy has been proven to provide the best results. A proper treatment will be determined by the doctor depending on the extent of the disorder in the child. As part of the treatment process, family members are also encouraged to take part in educational intervention and parenting training. Once you have identified any of these symptoms, it is best that you seek out the services of a qualified and credible expert. They will be able to properly determine and help your child manage the condition well into adulthood.